Parasail flights depend entirely on the weather. We will not be parasailing if sustained winds exceed 20mph with maximum wind gust of 25mph. Seas must be less than 4 feet. Weather is the biggest variable with parasailing, to be specific wind is the biggest factor. It’s the ‘Parasail Captain’s Call’ on determining if weather conditions will permit the parasailing. Children under the age of 18 MUST have a parent or legal guardian sign a waiver for them before boarding the boat (I.D. Required). MBP can email the minor waiver to be filled out prior, if your children are going to be accompanying another family or group on a trip to Miami Beach. If you are PREGNANT, have a HEART CONDITION, BAD BACK or any other physical conditions that will be aggravated by potential rough conditions on the ocean or the parasail flight. In the name of safety for you, other participants and our crew. The MBP staff has the right to determine if an individual is fit to participate in parasailing activity. We want everybody to have the best experience possible. It is the ‘Parasail Captain’s Call’. We always do our best to accommodate your request on how and who you fly with. he parasail requires a certain amount of weight to perform a safe flight. The weight parameters may change at the time of your ride due to changing wind and ocean conditions. Parasailing is a dynamic activity. For this reason, small children or lighter passengers may have to fly with an adult or larger passenger. Again in the end, it is the ‘Parasail Captain’s Call’. Minimum weight for a single flyer going up in the air by themselves is 150lbs. (68kg). Maximum weight is 450lbs (204kg). This would be the maximum combined weight for 2 or 3 people flying together. Again, these parameters may change at time of ride. The whole activity can take up to 1 hour if you are on a full trip. Our trips are normally made up of a group of 6 passengers. Single flyer approximately 7-9 minutes; 2 flyers approx. 10-12 minutes; 3 flyers approx. 13-15 minutes. Are only taken if there are open seats for that trip. They are taken on a first come first serve basis for a fee of $30 per person. AGE REQUIREMENTS: Children under the age of 18 MUST have a parent or legal guardian sign a waiver for them before boarding the boat (I.D. Required). MBP can email the minor waiver to be filled out prior, if your children are going to be accompanying another family or group on a trip to Miami Beach. PHYSICAL RESTRICTIONS: If you are PREGNANT, have a HEART CONDITION, BAD BACK or any other physical conditions that will be aggravated by potential rough conditions on the ocean or the parasail flight. In the name of safety for you, other participants and our crew. The MBP staff has the right to determine if an individual is fit to participate in parasailing activity. We want everybody to have the best experience possible. WEIGHT RESTRICTIONS: It is the ‘Parasail Captain’s Call’. We always do our best to accommodate your request on how and who you fly with. However, SAFETY is our number one priority. 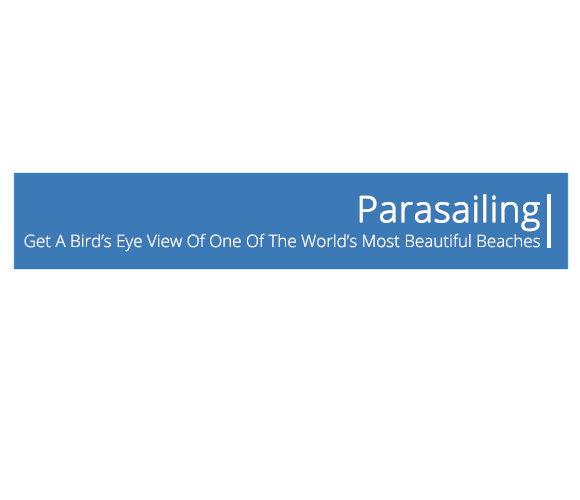 The parasail requires a certain amount of weight to perform a safe flight. The weight parameters may change at the time of your ride due to changing wind and ocean conditions. Parasailing is a dynamic activity. For this reason, small children or lighter passengers may have to fly with an adult or larger passenger. Again in the end, it is the ‘Parasail Captain’s Call’. Minimum weight for a single flyer going up in the air by themselves is 150lbs. (68kg). Maximum weight is 450lbs (204kg). This would be the maximum combined weight for 2 or 3 people flying together. Again, these parameters may change at time of ride. FLIGHT TIME: The whole activity can take up to 1 hour if you are on a full trip. Our trips are normally made up of a group of 6 passengers. Parasail flight times are as followed: Single flyer approximately 7-9 minutes; 2 flyers approx. 10-12 minutes; 3 flyers approx. 13-15 minutes. OBSERVERS: Are only taken if there are open seats for that trip. They are taken on a first come first serve basis for a fee of $30 per person. We are located physically on the beach behind the Loews Hotel at 1601 Collins Ave. IMPORTANT you cannot walk through the hotel, you must walk around it. Please use the Lincoln Road beach access or the paved pathway between the Loews Hotel and Royal Palm Hotel to walk out on to the beach. Once you have made it to the beach, you will then need to look for the water sports area. Look for the RED UMBRELLAS along with vertical Stars and Stripes banner flag. The banner flag is the marker for water sports area. Our RED UMBRELLAS have the word PARASAIL printed on it. THE BEAUTY OF PARASAILING IS GIVEN THE RIGHT CONDITIONS IT IS AN ACTIVITY THAT MOST EVERYBODY CAN EXPERIENCE. THERE IS NO STEERING, NO DRIVING. YOU ARE JUST ALONG FOR THE RIDE. THAT BEING SAID IF YOU HAVE A DISABILITY OR KNOW SOMEBODY THAT DOES AND ARE WANTING TO KNOW IF YOU OR THEY CAN FLY GIVE US A CALL OR SEND AN EMAIL. WE WOULD LOVE TO SHOW YOU AN EXPERIENCE OF A LIFETIME.